Bookshops and Libraries I Want To Visit! I find myself deeply frustrated when I ask someone what their favourite book is or what authors they like to read and they reply something along the lines of “I don’t like reading, it’s not for me” or even worse, “reading bores me”. Before I start, let me just note that my frustration does not come from a pretentious place. In fact quite oppositely it comes from a place of sympathy, for I really do believe that there is the ideal book out there for any and every one. I study English, 90% of my life is centred around books and reading, but there was an experience I had to have, that I believe everyone can have, in order to realise I was in fact a keen reader. This experience is not the first book you read, but the first time you read a book and it shifts you, and places you in this space whereby all you want to do is think and think, you have tons of ideas, passions, opinions etc. and they are simultaneously all consuming and all addictive; it’s kaleidoscopic. 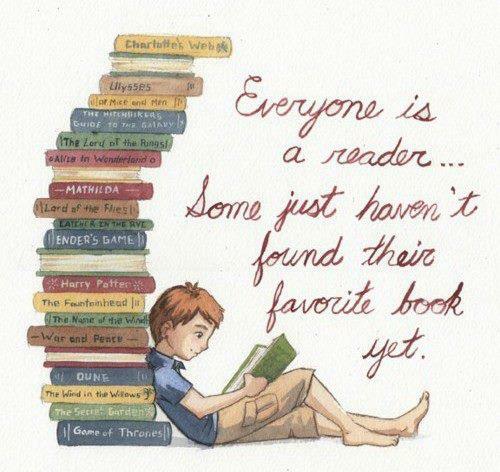 After you find your favourite book you will want to read more and more! It gets you onside, it convinces you that reading is too enriching an experience to deny yourself. When you read you are introduced to places, ideas, emotional spaces, characters and philosophical depths that you may not otherwise get to spend time with and learn about. Of course it is impossible to enjoy every book you read, but when you read a book and you dislike it you can enjoy exploring the reasons why. Why did that character annoy you? And what does that tell you about your own character? Reading encourages you to be self-reflective and to meditate upon questions of selfhood, which are imperative things to do in order to have a healthy relationship with yourself. (Okay I can’t stop myself, cue a delve into the benefits of reading…) Reading makes you a wittier person. When reading you enter a form of dialogue with the characters yes, but also with the imagery, the lexis, even the syntax. As you analyse and judge the merit of this book you are also perhaps unknowingly becoming a faster thinker. In those moments whereby you disagree with a character, or you notice something that intrigues you about the way they see the world and from your facial expression as you read on, you notice yourself reacting, you’re animated with strong opinions. Even if it doesn’t help you to sharpen your own wit, reading does provide a lovely little opportunity to ‘borrow’ certain witty statements from the characters you come across and slip them into your non-fictional conversations. As well as broadening your vocabulary almost sub-consciously. Whether you read to study, or read as a hobby, reading is company and to be honest yes we shouldn’t read just for entertainment but sometimes we do and its okay, it’s comforting. Just think about the amount of voices you can access from reading a book. You have the narrator’s time and attention and they have yours. Whether you read poetry, short stories, novels, or even a daily column, you are a reader and even if it takes a really long time, I encourage you to persevere and I can almost promise that you and your favourite book will meet in the kaleidoscopic moment that results from the challenge of establishing your individual reading style.